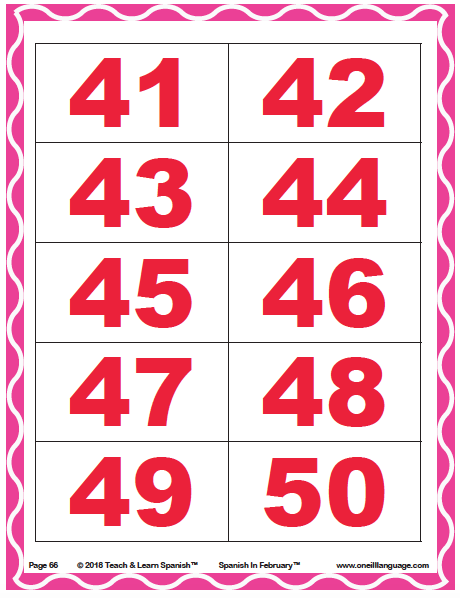 In February we'll practice counting up to 40 but we'll focus on numbers 41-50 especially with older children who can already count to 50 in English. Play the audio file below while pointing to the numbers on the handout to the right. Use the handout on the left to help you pronounce the numbers. 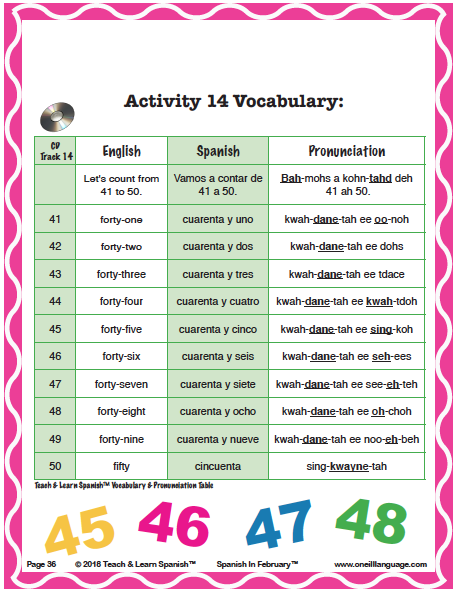 Practice counting from 41-50 with your children everyday! Here are some of the compliments that are part of our February curriculum. Read the pronunciation guides as though you are reading English and you'll be pronouncing the words correctly in Spanish. 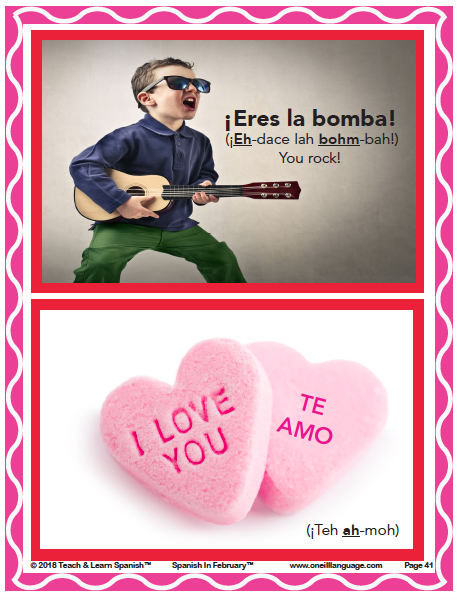 Pay each other these compliments in Spanish at home in February and throughout the year! 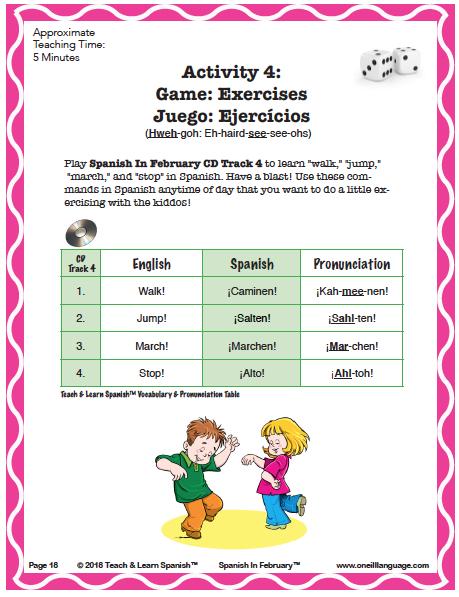 In February we get to do the following exercises in Spanish class. It's so exciting to exercise in another language. Try these exercises at home with your children. Simply play the CD, it does all the teaching for you! In February "Jobs" is another vocabulary theme your child may learn in Spanish class. See some of the jobs below. Point to the pictures and model for your child how to say the words. Then take turns acting out the jobs and guessing them! 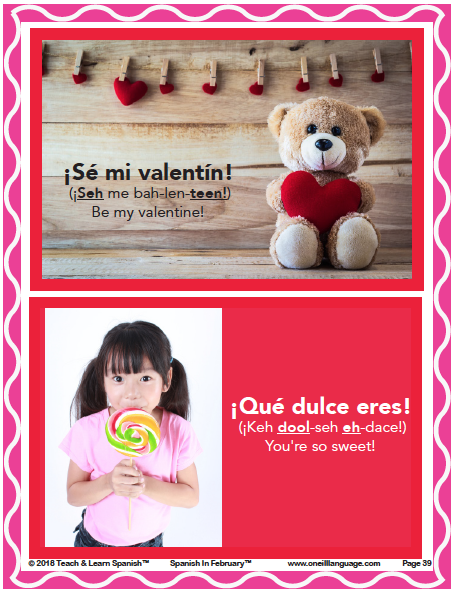 Do You Want to Learn More Spanish with Your Kids, but You're Not Sure How?